RECEIVE ONE MONTH FREE WHEN YOU RENT A 1 OR 2 BEDROOM APARTMENT! 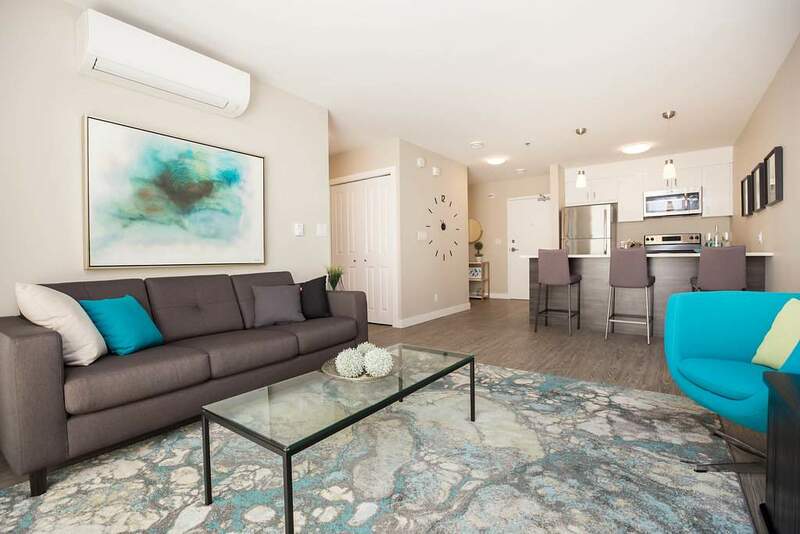 Deveraux Apartment Communities offers 1 and 2 bedroom apartments at this pet friendly property located in Bridgewater Trails. You will love the spacious floor plans and contemporary design, with luxury vinyl plank flooring, granite countertops, stainless steel energy efficient appliances, double kitchen sinks, full size washers and dryers, large windows, private balconies, ensuite bathrooms and walk-in closets. The Pinnacle at Bridgwater offers a place to call home in a convenient location, providing comfort and amenity rich living at its best. Welcome home! Setting The Pinnacle at Bridgwater apart is the Resident Clubhouse. This state of the art building houses on site leasing, administrative, and maintenance staff, as well as a commercial grade fitness centre, package lockers, tenant lounge, games room, and café-like study room. Residents can cozy up to the indoor fireplace, play a game of billiards, workout in the gym, or enjoy the common barbeques. Join Deveraux and be a part of The Club! The Club grants you exclusive discounts and special offers to some of Winnipeg's hottest establishments and retail providers. * Rates are based on a one year lease and may vary by floor/layout.